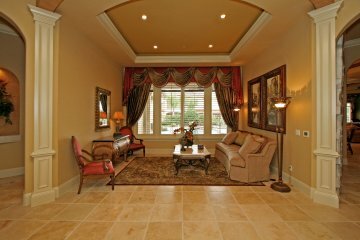 Step into quality and sophisticated design with stunning interior, finely crafted on impressive corner lot in one of Orlando area’s most prestigious communities. 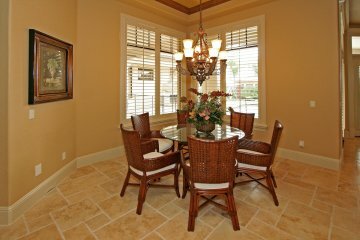 This 5 bedroom home accommodates almost any family formation. 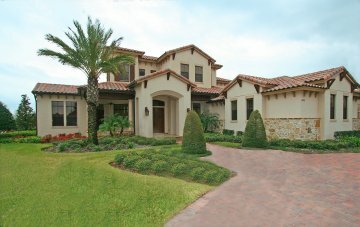 Whether you prefer to live formally or a more casual lifestyle, you will find this floor plan to be very adaptable to your specific needs. 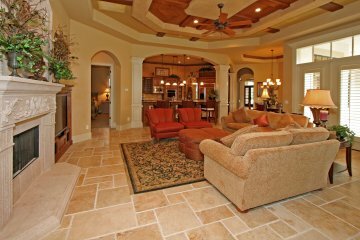 Easy-care marble floors flow through all hallways, living areas and the kitchen with the exception of the Library where you will find the rich warmth of wood flooring. 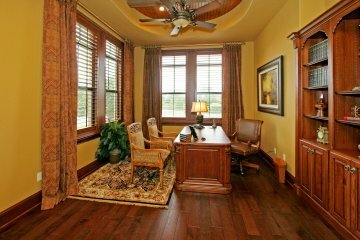 Windows throughout the home are designed with plantation shutters (very easy care) and some custom crafted window treatments. 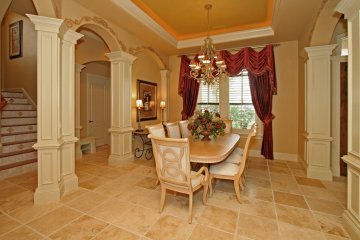 The foyer, formal living and dining rooms are all open to each other with spaces being defined only by stately columns adorned with elaborate moldings and arches. 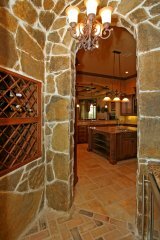 An attractive stone-cased wall treatment houses a wine keeper beside the dining room and serves as a nice attraction. The kitchen, also with marble floor, boasts very fine cabinets topped with black granite and accented with custom book and plant shelves. 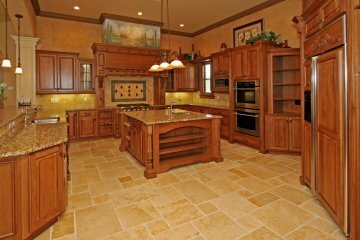 This kitchen is everyone's dream! 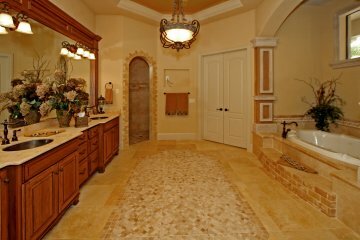 The backsplash across the entire kitchen is tiled for easy maintenance. 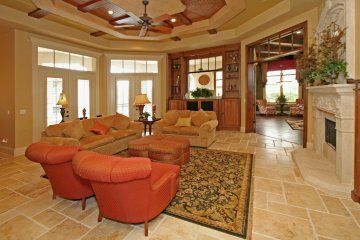 An 11’ long granite counter, under an arched opening opens into the 23’ family room with a lovely stone fireplace, and double French doors opening to one of your favorite rooms – the game room! The artist’s touch can be found on hand-painted murals of garden scenes and some stencil designs over the arches. 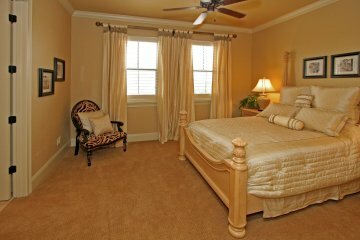 A generous master suite with lounge has French doors opening to the Pool/Terrace and Spa area. 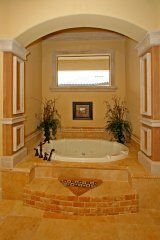 On the opposing side of the floor plan is a private guest suite. 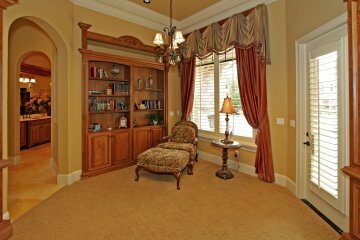 There are three (3) bedrooms on the second floor in addition to a custom designed computer/study area. 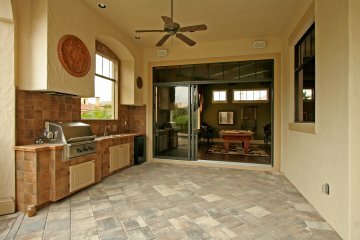 Exterior features include a tiled Terrace with outdoor fireplace, living and dining areas – and even a cooking area with stainless gas grill, refrigerator and sink – all this overlooking the lagoon-finished swimming pool. 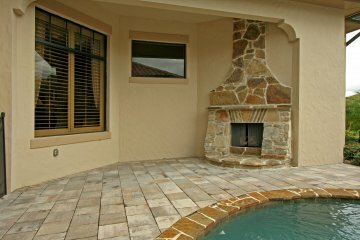 Definitely designed for Florida living! 3-car Garage. Owner will consider a lease purchase! Don't wait to see this!